You need to pick your key performance indicators, or KPIs. They’re data used to chart a business on its way to success and profits, and are often used when revenue-starved startups need to identify ways to measure progress in the absence of cash flow. 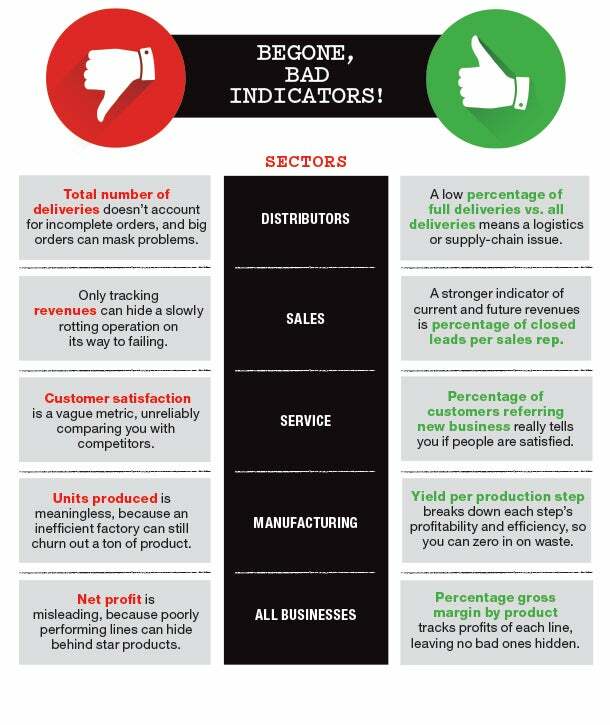 But there’s a big risk: If you choose the wrong KPIs, you may drive your company to financial ruin. Once you have your KPIs picked out, lock in the time period for each one to be measured. The goal is to monitor change as close to real time as possible (I suggest weekly) and hold people accountable for improvements.